Photo taken during summer sunset at Ipperwash Beach in Ipperwash Provincial Park, positioned near Kettle Point. The beach where pets are encouraged. At Pinnery Provincial Park, in Ontario. Dyer's Bay sign as published by Fisheries and Oceans of Canada' Located on Lake Huron near Tobermory Ontario. Southerly view of Dyers bay. Taken fr0m the dock. 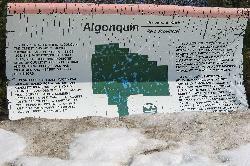 Located near Tobermory Ontario. 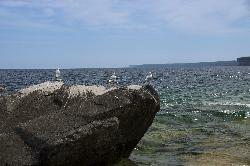 Taken at the dock at Dyers Bay, near Tobermory Ontario. 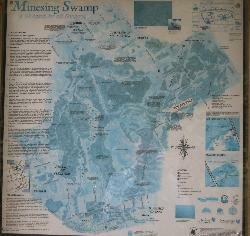 Photo from signpost of Minesing Swamp map in Ontario Canada. Taken in 2005. 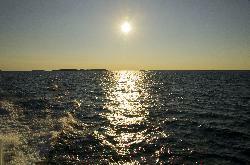 This program calculates the times of sunrise and sunset for the selected date. 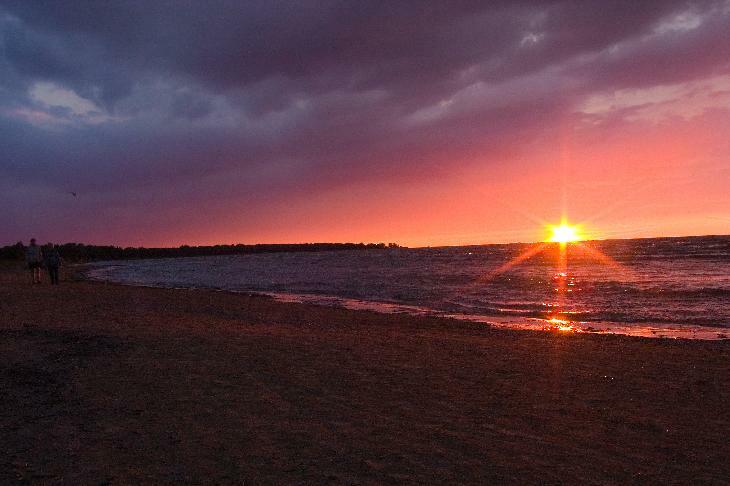 from site: Most will come for the long, sandy beach and Lake Huron sunsets. Others will seek out rare flowers that thrive in treed sloughs between the dunes -- blue heart, nut rush and lobelia. Yet others will arrive in fall for a chance to see migrating jaegers, scoter, grebe and Brant geese.